You can have a great website with great content, but if it isn’t optimised for search engines, it may never show up – and even if it does show up, it might not get many clicks. And if your website doesn’t get clicked on, your potential customers will end up going with your competitors who do show up…higher. 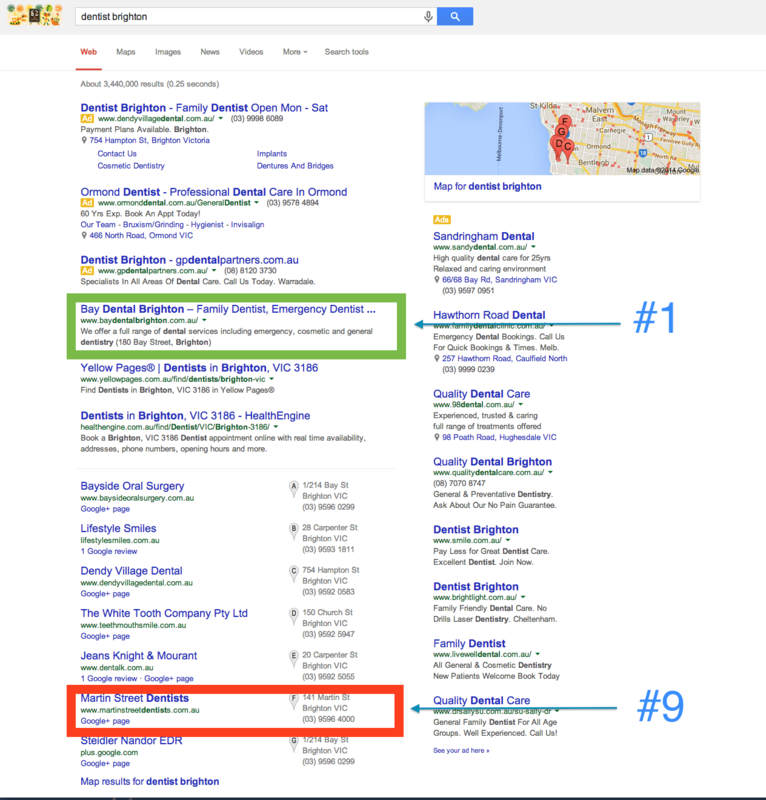 Why does it matter if you’re ranked #1 or #9 in Google? #1 is getting 10 times the amount of enquiries! If you weren’t convinced about SEO before, you probably are now. Who shows up in Google first; you or your competitors? 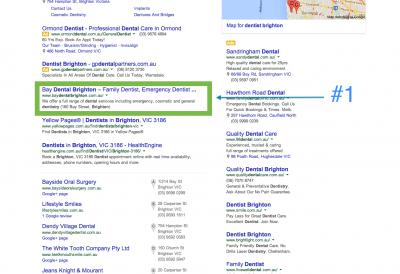 Keywords by the way are what people are actually typing into Google, eg teeth whitening price melbourne. If you know what your target customer is typing into Google it changes everything. You finally know what content to create and what to optimise your site for. You finally start showing up in Google! Do you know what your target customer is typing into Google? Are you optimising your site for those keywords? Are ALL the pages on your site optimised like this? Email info@echimp.com.au for a FREE expert analysis of your site.